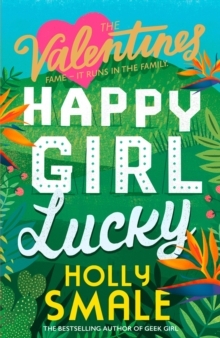 Introducing The Valentines - Happy Girl Lucky, the first book in the hilarious new romantic-comedy series by Holly Smale, author of the bestselling and critically acclaimed Geek Girl books. Fame - it runs in the family! The Valentine sisters - Hope, Faith and Mercy - have everything: fame, success, money and beauty. But what Hope wants most of all is love, and it doesn't matter how far she has to go to find it. Except real life isn't like the movies. Unless of course you're a Valentine . . .